This technology enables patients to play an active role in their care and promotes a team-based approach to disease management. Telemedicine is a rapidly evolving facet of modern medicine. Providing quality care to the growing and aging population will require easy access to doctors and technology. However, in an age of excessive health care spending, a patient’s ability to be seen by a physician is often hindered by logistic and financial barriers. Telemedicine provides remote access to physicians, potentially improving efficiency, increasing understanding of disease, and minimizing unnecessary costs to the health care system. • By providing home and remote testing capabilities, advances in teleophthalmology will allow patients to play a more integral role in their glaucoma care. • With teleophthalmology, the reduction in office visits and time spent in the doctor’s office will relieve burdens on health care spending and on patients. • It is important to address glaucoma with a team-based approach that includes the patient, technician, and physician. Ophthalmology is an ideal arena for the implementation of telemedicine because of its technology-driven diagnostics and therapeutics. 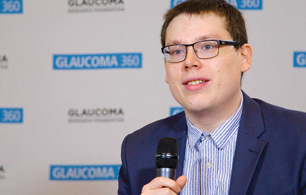 Glaucoma, a disease whose mainstay treatment is IOP control, is often diagnosed at late stages due to the sometimes imperceptible structural changes noted with technology available in a tertiary care setting.1 However, the key metrics for diagnosis and progression—IOP, OCT imaging, and visual field testing—can now be performed using portable devices, sometimes by patients themselves in the comfort of their homes. Currently, the gold standard for IOP measurement is Goldmann applanation tonometry performed in an office setting. Portable IOP-monitoring devices such as the Icare tonometer (Icare USA) offer at-home pressure readings that can be shared with a provider remotely. The ability to monitor diurnal variations in IOP can help assess the need for and effectiveness of treatment. Wireless, implantable IOP sensors are also being developed for continuous IOP monitoring, such as the EyeMate System (Implandata Ophthalmic Products). Smart contact lenses that can directly record IOP are also in development. The Triggerfish (Sensimed) is a contact lens with an embedded sensor that can detect changes in corneal curvature. Although this device does not directly measure IOP, it brings us one step closer to the goal of continuous IOP monitoring. These devices provide more than a single data point of information throughout the day and allow the patient to play a crucial role in his or her glaucoma care. This collaboration between doctor and patient improves compliance and encourages patients to invest in their care. In glaucoma evaluations, the optic disc is examined using direct photography and ultrasound technology. Mobile phones are now capable of taking high-resolution fundus and optic nerve photographs using adapters such as the iExaminer (Welch Allyn), the iNview (Volk), and the D-EYE (D-EYE). The iScan OCT (Optovue) has a compact design that is an efficient use of space and time for the patient and the doctor. The Envisu C2300 (Bioptigen) is a handheld OCT system approved by the FDA for aiding in the diagnosis of eye disease. As mobile phone and tablet technologies progress, a push for applications that incorporate scanning devices offers the possibility of even easier and more widespread screening. Visual field testing is another crucial element of glaucoma diagnosis. Static automated perimetry such as the Humphrey Visual Field Analyzer (Carl Zeiss Meditec) is generally performed in an office setting, largely due to the high cost of the machines and the need for environmental control during testing. However, computer software and sophisticated virtual reality (VR) tools have introduced the prospect of home perimetry. A benefit to the VR model is the creation of a suitably dark environment for testing. IbisVision developed a perimetry system called the RingOfSight, which can be performed remotely or at home by patients with a tablet, TV screen, and the appropriate software. Another advance in perimetry comes from CREWT Medical Systems, a company that developed a head-mounted device that can conduct a standard perimetry test.3 Software such as Vivid Vision Perimetry (Vivid Vision; see Watch It Now) can be used with existing VR programs and do not require a computer; therefore, it is even easier to perform perimetry remotely and in a portable fashion. Virtual Field has also presented a VR platform that is capable of performing standard 24-2 perimetry testing, and the company is developing 10-2 and frequency doubling tests as well. It is important to keep in mind that, in today’s world of “unlimited” data, information fatigue and data overload can lead to confounding results. Thus, filtering data efficiently to substantially benefit the patient is a focus of many physicians involved with teleophthalmology. The ability of artificial intelligence to develop and recognize patterns, which can aid in identifying abnormalities and/or pathology based on preset parameters, will become increasingly necessary to maximize efficiency and accuracy. Several teleophthalmology practice models have been developed. Application in primary care settings will save time for patients by incorporating ophthalmic care into general health screenings. Ophthalmology practices can introduce remote satellite offices, practice extenders, or standalone kiosks where patients can obtain testing, such as OCT, visual field, and IOP assessments. This information can be reviewed by a trained ophthalmologist at a later date and time, before a formal evaluation is relayed to the patient. In order to access the greater patient population, placement of remote diagnostic testing devices in high traffic areas, such as grocery markets, malls, or transit hubs, may help in reaching the many individuals who are undiagnosed due to lack of access to care. Teleophthalmology can cross geographic and financial barriers that limit patient access to glaucoma care. This technology promotes a comanagement model between patient and doctor for identifying, treating, and halting an often silent yet potentially devastating disease. Glaucoma patients often report feeling helpless in the management of their disease, at times using four to five different ophthalmic drops throughout the day without knowing the results or effectiveness of their treatment. Home monitoring would give patients an important role in their care, and perhaps this involvement could improve compliance. The reduction in office visits and time spent in the doctor’s office will relieve a burden on health care spending as well as on our patients, who may now spend hours in waiting rooms. Patients can play an integral role in their care with the help of teleophthalmology. 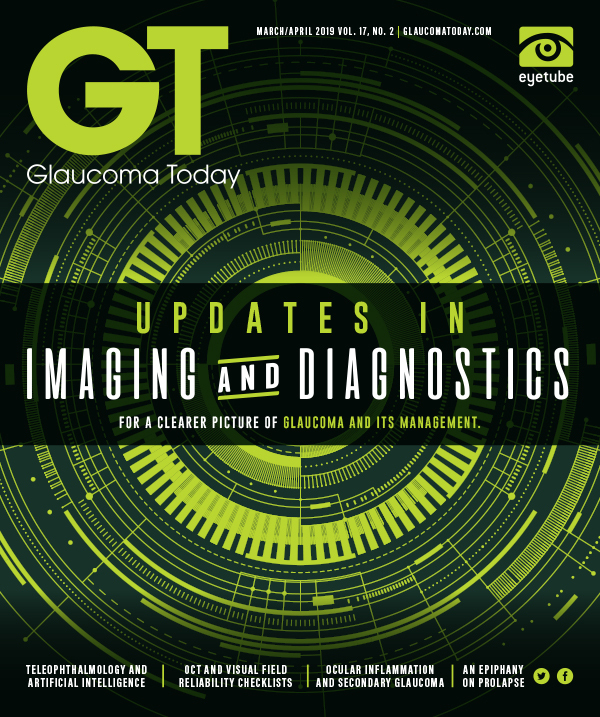 As our knowledge of this complex disease grows, it will be important to address glaucoma with a team-based approach, including the patient, technician, and physician. 1. Quigley HA, Broman AT. The number of people with glaucoma worldwide in 2010 and 2020. Br J Ophthalmol. 2006;90(3):262-267. 2. Jung W, Kim J, Jeon M, Chaney EJ, Stewart CN, Boppart SA. Handheld optical coherence tomography scanner for primary care diagnostics. IEEE Trans Biomed Eng. 2011;58(3):741-744. 3. Matsumoto C, Yamao S, Nomoto H, et al. Visual field testing with head-mounted perimeter ‘imo’. PLOS One. 2016. doi:10.1371/journal.pone.0161974.